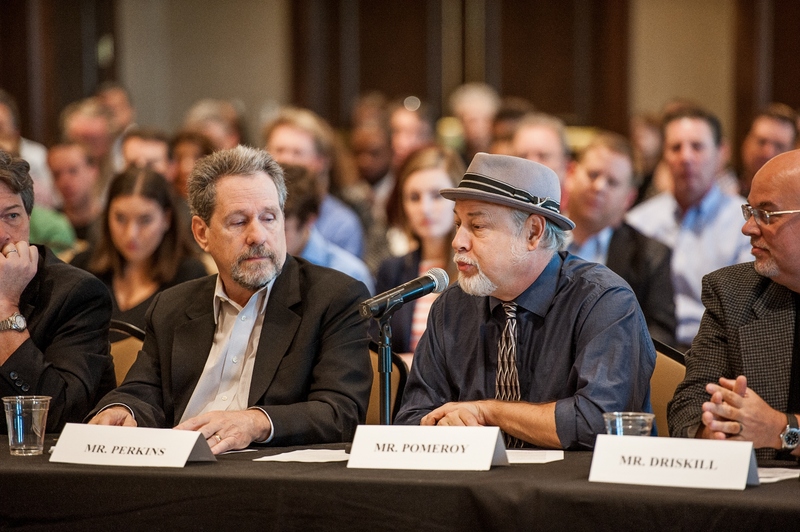 Long-time bassist and producer Dave Pomeroy speaks at the Copyright Review roundtable. The U.S. House of Representatives Judiciary Committee kicked-off a copyright review listening tour with a roundtable discussion in Belmont’s Wedgewood Academic Center Tuesday. The event included a wide range of professionals from the music industry offering their thoughts on copyright, fair pay and streaming issues while a number of interested students, faculty, media and community members were in attendance to listen in on the conversation.